Bloodborne is a punk. A savage, brutal punk—and I’m not just saying this because of all the challenging encounters with werewolves and tentacle monsters. As we’ve chronicled in the past, Souls games do have a sense of humor. A twisted sense of humor, but they have a funny bone just the same. Bloodborne is no different! Everyone talks about how difficult Dark Souls II is. People rarely talk about how funny it is. 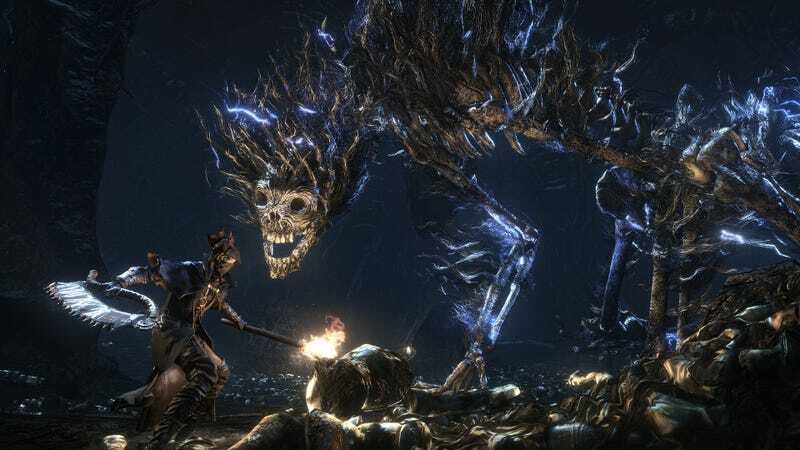 As Bloodborne players know, the game offers an optional randomly-generated dungeon mode called Chalice Dungeons. Chalice Dungeons are some of the toughest portions of Bloodborne, and if players can survive them, they are rewarded handsomely. There’s some rad gear inside of Chalice Dungeons. There are also some more troll-like items inside of Chalice Dungeons, hilariously enough. It’s okay. We all know Eileen is the best Bloodborne waifu anyway. That said, if you’d like to know how to get to the dungeon that drops the ring yourself, check out Kill Screen’s article. Who knows. Maybe you’ll find another character you can propose to.